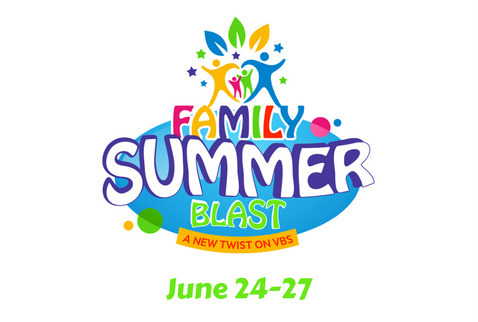 Join us this summer for FAMILY SUMMER BLAST: A New Twist on on VBS! It's for the WHOLE family, and it is going to be amazing. You and your children will experience meaningful connection times with friends, fun games, music, Bible study, and more. Register today!